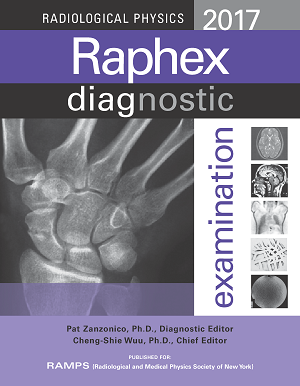 Published in cooperation with RAMPS, the Raphex Radiological Physics Examinations are created to be useful as practice tests, advance study guides, or exams for course credit. An answer guide is included with detailed explanations for the correct answer. The Raphex 2017 Diagnostic Exam has image-based questions to match the ABR's Diagnostic Radiology core examination study guide. Images are in color whenever possible.